People sometimes ask where we got the interesting log table at the front of the UC Library, which we use to display books on a particular theme. My understanding is that it was made from a tree on the U of T campus that was cut down years ago. But I don’t know where on the campus the tree stood — if anyone does, I’d love to hear about it. 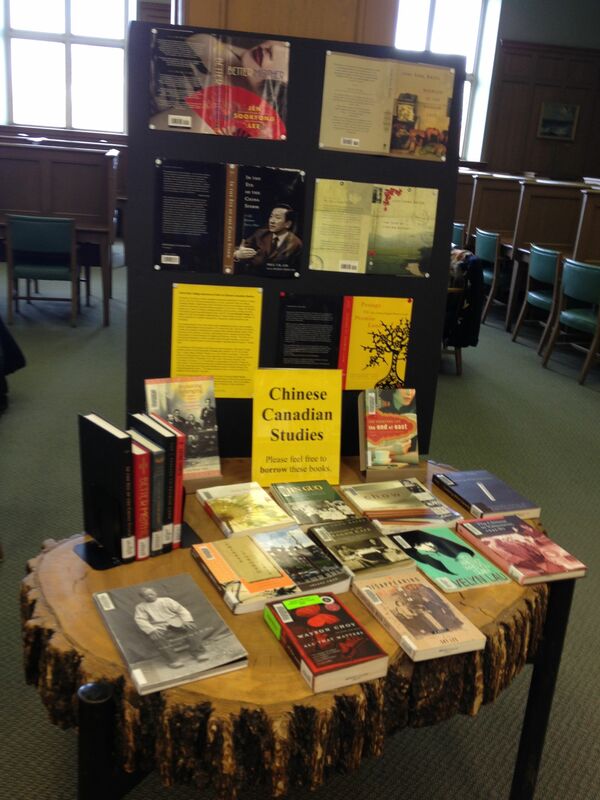 Here’s a photo of the table, with our latest display: books related to Chinese-Canadian Studies.